I’m Contributing to the Palate Press! I’ve come to a sort of crossroads in my wine blogging journey. The choice as I saw it was between getting more serious about it, or letting it go. Letting it go would be an attractive option, especially because I’ve been concerned about my health, the quality of my legal scholarship, and my finances. However, in the end I could not give this up, not after 100 posts and the time and effort I put into maintaining it. Although my recent lack of posting might indicate that I’m not serious about my resolution, it is more indicative of law school craziness than any lack of discipline. And, like a patient lover, my wine blog waits for me to return after a few weeks of neglect. That being said, I’m thrilled to announce that I am branching out in my electronic wine adventures, specifically by contributing articles to the Palate Press. The Palate Press is an online wine magazine that seeks out and publishes the very best wine writers and writings on the Internet. I submitted an article idea to them based on an Australian Shiraz tasting I had with a few of my friends, and fortunately they liked it enough to bear through constant edits and revisions. Speaking of which, writing for online magazine is a very different experience than writing for my blog, or even for my school newspaper. Regarding the former, I don’t always edit or proofread my work as much as I should before posting; regarding the latter, although my editors are exceptional they are not as fanatical about wine as I am or the editors at the Palate Press are. The editors at the Palate Press went through my article multiple times and made a number of suggestions and comments, all of which helped the article tremendously. I am truly grateful for this learning opportunity. That being said, please click here to read my article. It’s called “A Little Bit of Class in Australian Shiraz.” (At the moment, you can also access it on the scrolling marquee on the Palate Press home page!) Once you’re done reading my article, you should browse through their website–it’s an amazing and interesting resource for wine lovers of all levels. Nice – good work. I’d like to see an even greater exploration of Australian shiraz outside the likes of Southern Australia. There are amazing things being done in the west and in Victoria. It’s a shame we don’t see very many of those sorts of wines in North America. St. Henri has always been a nice wine, though. Thanks, Shea! 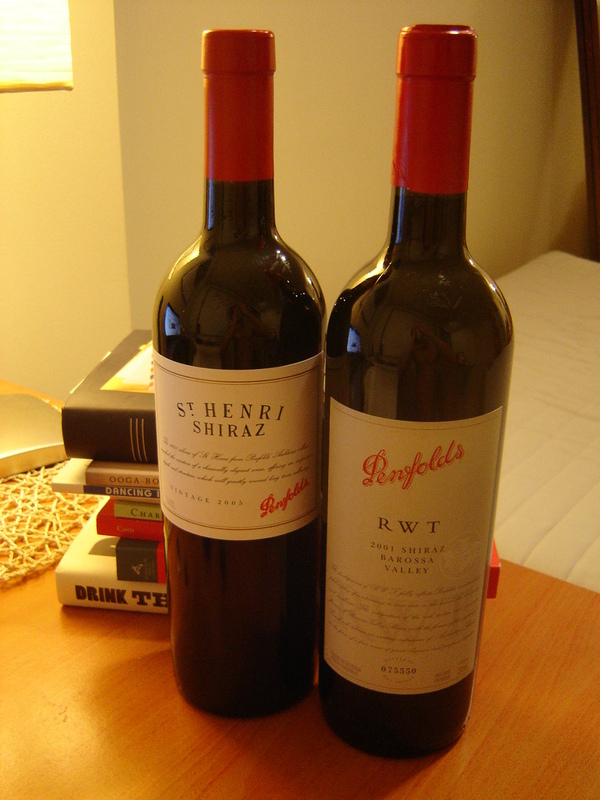 You mentioned previously in response to one of my posts that Australia has many good examples of Shiraz outside of the Barossa Valley–I’d like to try some. I’ll definitely keep my eyes out for them next time I go to a wine shop.